NBI continued to pursue their goal by rehearsing in the practice rooms in the Whitlock Music Center almost everyday during the 2014 Interterm. They tried out and were fortunate enough to make it as a Lab Band in the Greenville College Music Department. From there, the band began to book on and off campus gigs. Their first off-campus gig was at “The Cocoa Café” in Nashville, TN. The following summer, the band moved to Nashville to continue playing and also to gain school credit. Five songs were written and then demoed at a studio called “OmniSound”. Alumni, Luke Schoenhals and Nate Miller assisted with the tracking of NBI’s music. The most well known song they tracked is American Fast Lane, which they also produced a music video for with the help of Contemporary Music Center in Nashville. The band came back to Greenville for their junior year, released the video, and as Innocent #1 Matt Holland stated, “it was the first time I felt like we were really defined as a group; as Nick Biffano and the Innocents.” From that point on, the band began to play more regionally (places like St. Louis, MO and Springfield, IL). As December rolled around, the band produced another single/music video called “Revolution”. 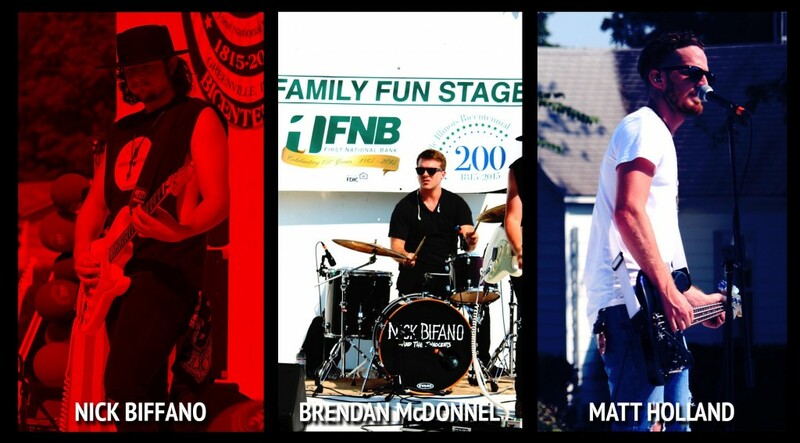 This past summer, the group gained more exposure by performing four shows, including one at the Audio Festival in Champaigne, IL. All of these accomplishments are noteworthy, however, the band agrees the biggest moment of the summer was when NBI returned to Nashville to record an EP which included their first two singles and two more additional songs. The band is back in Greenville for their senior year of college, with shows booked for September, most of October, and two dates in November. Nick Biffano: Many people may not know this, but Nick is loud and always has to have things in a certain way. Not necessarily clean, but very organized. Matt Holland: Matt is an Eagle-scout, and can cook better than almost anyone. According to Biffano, he also has the “nastiest bass tone on this side of the Mississippi”. Brendan McDonnell: Most people don’t know that Brendan has a massive family…ten plus people. He is the Baby of 6 and has 5 adopted siblings younger than him. 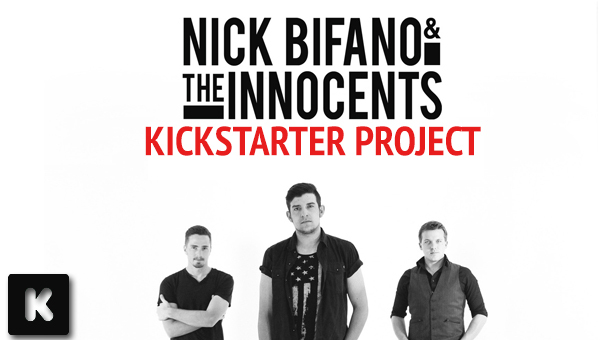 Nick Biffano and the Innocents are successful, focused, and determined. One may even say they’re “hotter than the Nashville sun”.